How to go from Suvarnabhumi Airport and Bangkok to Pattaya - How to get there? There are metered taxis offering visitors to go to Pattaya , but before accepting to take one, please remember that there is an official price for metered taxis – approximately 1,300 Baht with additional 60 Bath for express way charges. In the case of metered taxi from Bangkok, visitors can take one from there, but the visitors need to negotiate the price before. The price should be about 2,000 Baht. However, it depends on where visitors are at as well. 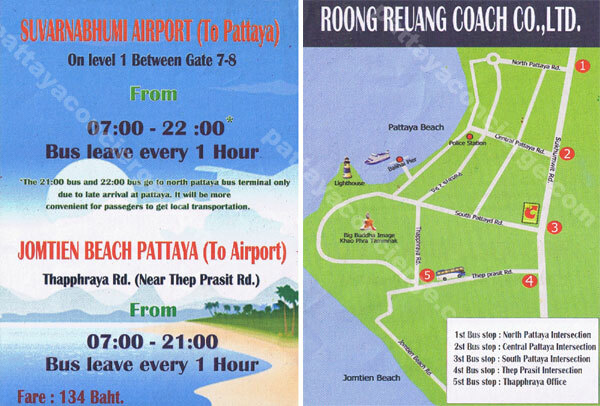 Nowadays, arriving visitors who would like to enjoy Pattaya do not have to get in Bangkok because there are air-conditioned bus direcly to Pattaya provided in Suvarnabhumi airport (by Roong Rueng Coach Co., Ltd.). Bus departs every hour from 07.00 to 22.00. This option has established since 2008. To visit Pattaya become really easy, in other words. 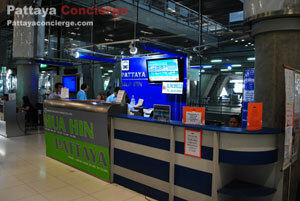 The counter for going to Pattaya is located near gate 8 at 1st floor of Suvarnbhumi Airport. Its price currently is 134 baht. 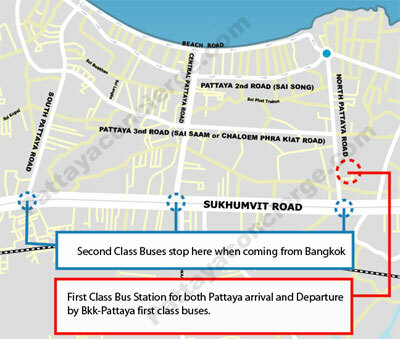 Bus stop at Pattaya is at the Junction to North Pattaya, Central Pattaya, South Pattaya, Thepprasit, and Thappraya Office. Note that the 21.00 bus and 22.00 bus will go to Pattaya Bus Terminal Only because of late arrival at Pattaya. There are 2 options to go to Pattaya from Bangkok by an air-conditioned bus. The first one is to catch a bus from Eastern Bus Terminal or “Ekkamai”, while the other option is “Mochit2”, but the visitor needs to look for Eastern Bus Terminal at Mochit 2 because it is quite large. For both options, buses depart every 30 minutes, but Ekkamai from 05.40 to 21.00 whereas Mochit 2 from 05.40 to 19.00. However, the departure time for buses can be altered any time, especially during long-holidays, so it would be better for visitors to check the time again in the case that you would like to depart early or late from standard departure time. *Note that in the case you are not familiar with Bangkok, to go to Ekkamai is much easier than Mochit 2 because you can get to Ekkamai Directly with BTS (Sky Train) and get off at Ekkamai Station, but to go to Mochit 2 you need to go to Chatuchak Station first and then catch a taxi or motorbyte taxi to go to mochit 2. There are also two options for air-conditioned buses, First and Second Class Buses, to go to Pattaya. 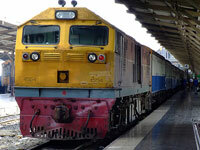 Another interesting option to go to Pattaya is to catch a train because this could avoid traffic jam in Bangkok. Visitors can catch the third class train to Pattaya at Hua Lamphong station. There are twice train a day, so visitors should check the departure time in order to spend the time on a trip effectively. The train will take about 3 hours for a journey. 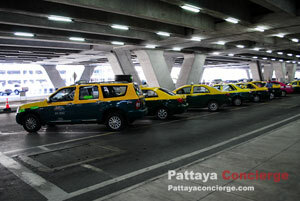 However, after arriving g in Pattaya, visitors would have to take Songtaew or Motocycle taxis to Pattaya city. Bangkok Airways offers flights from Ko Samui or Phuket to U-Taphao airport, located about 30 Kilometre from Pattaya. However, U-Tapho airport locate at Sattahip instead of Pattaya (somebody misunderstand that U-Taphao airport is Pattaya airport). Once arriving in the U-Taphao, visitors can take ground transportation directly from airport to Pattaya, or they can take a bus from the high way, where it is pretty cheap.